As small companies grow they often experience problems with business processes that do not scale. Ultimo Electronics Limited sells home electronics and small appliances. The company was set up in 2014, although it was first listed on eBay in October 2011. The company now ships over 12,000 items each year, of which 70% is sold through eBay or Amazon. This volume led to inefficiencies in its despatching processes and it turned to its parcel carrier – Royal Mail for help. The NetDespatch Retail Solutions team worked with Ultimo to implement a totally integrated fulfilment and despatch operation, allowing their small staff to concentrate on growing their business. Order data is downloaded from their marketplace stores to a CSV file for instant upload to NetDespatch which integrates with the Royal mail systems. 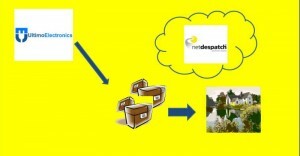 The NetDespatch solution not only creates the appropriate labels automatically but also notifies Royal Mail about the consignments due for shipping. For small companies like Ultimo implementing this NetDespatch solution allows staff more time to concentrate on sales and customer service activities and growing the company. Too often small companies increase overheads to support growth when new solutions and a change in business process can accomplish the same thing at a far lower cost. 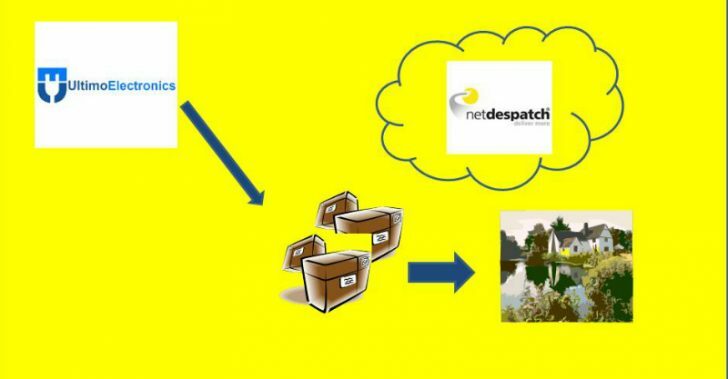 The NetDespatch solution also allows companies to ship internationally and as Ultimo grows so the solution with grow with them. Integration with software companies such as Sage and Salesforce will ensure the solution is in place as Ultimo increases its successful journey.